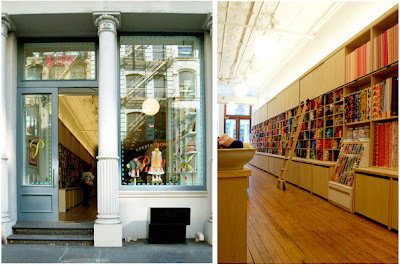 I want to tell you about two great shop concepts that I found in NY. 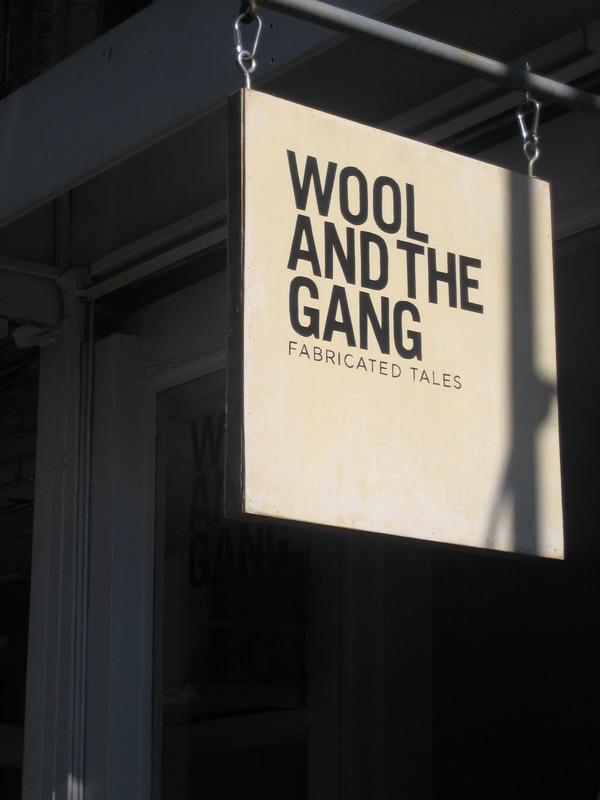 Purl Soho and Wool and the gang. 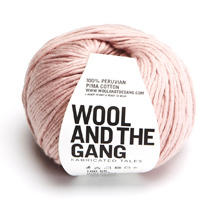 Both shops are places where you can buy yarns. 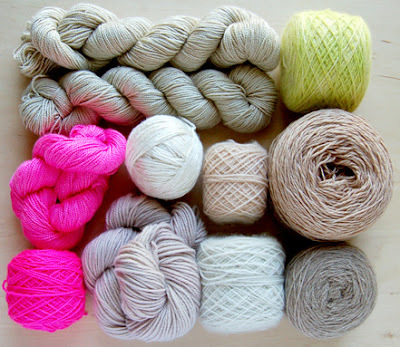 But not just ordinary yarns! 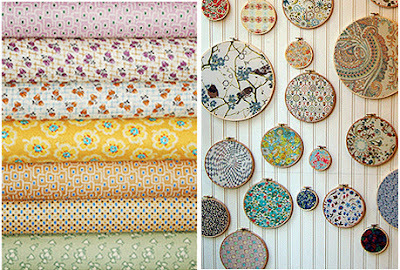 Maybe you have heard of Purl Soho before because they have a beautiful well known blog named the Purl Bee. They strive to create fun and approachable projects for you to knit, crochet, sew, stitch and more. 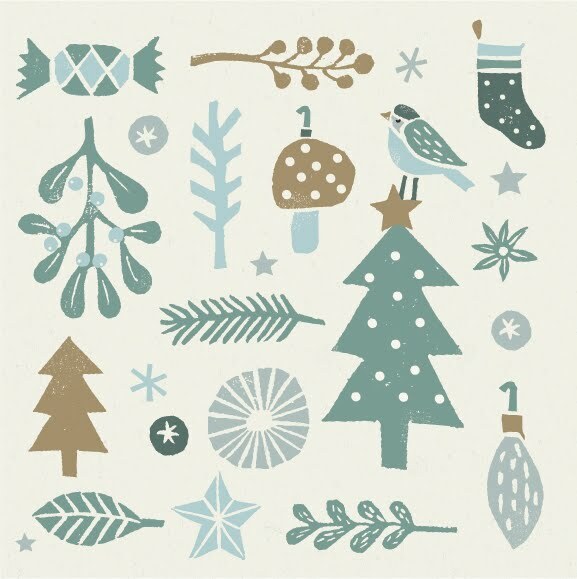 And you can find everything what you need in their shops ( online as well). My other great treasure was Wool and the Gang! 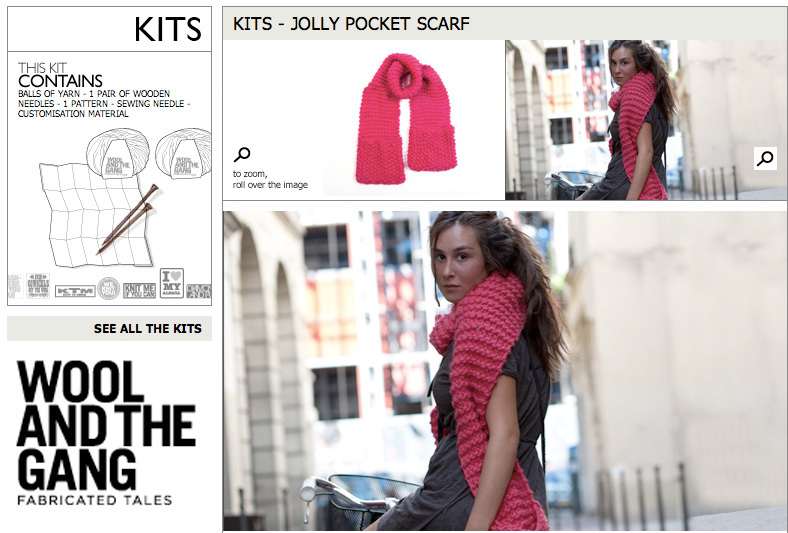 Such a nice idea to make knitting easy, fun and hip. 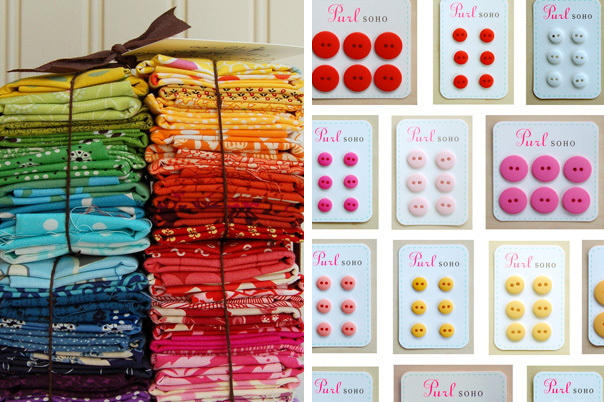 It has never been so simple to knit the most fashionable accessories and clothes. 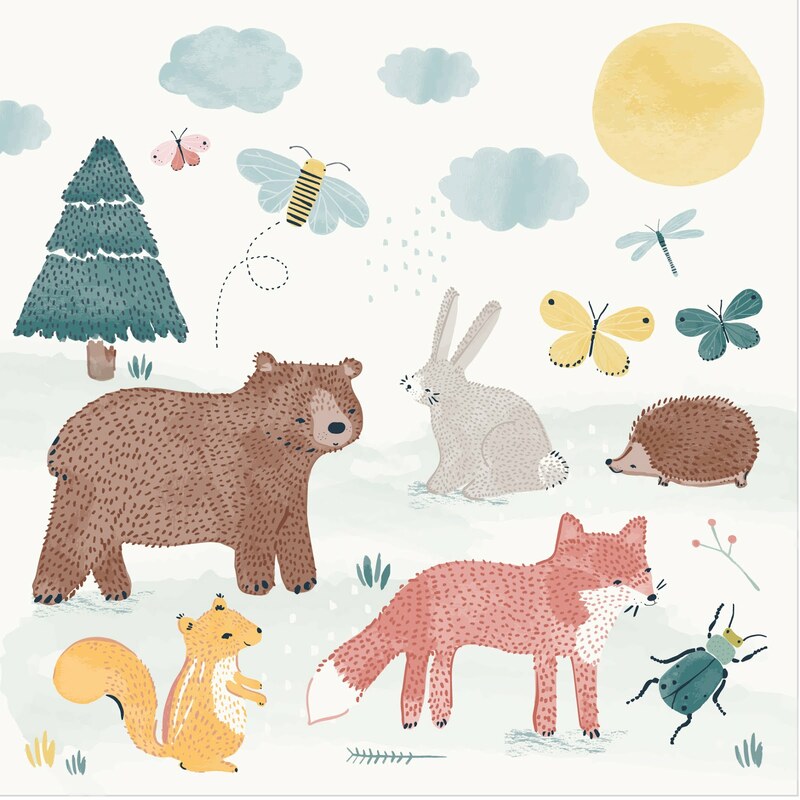 On their clear and helpful site you can find kits, wool and great free patterns! You will receive the ingredients in a nice white paperbag.